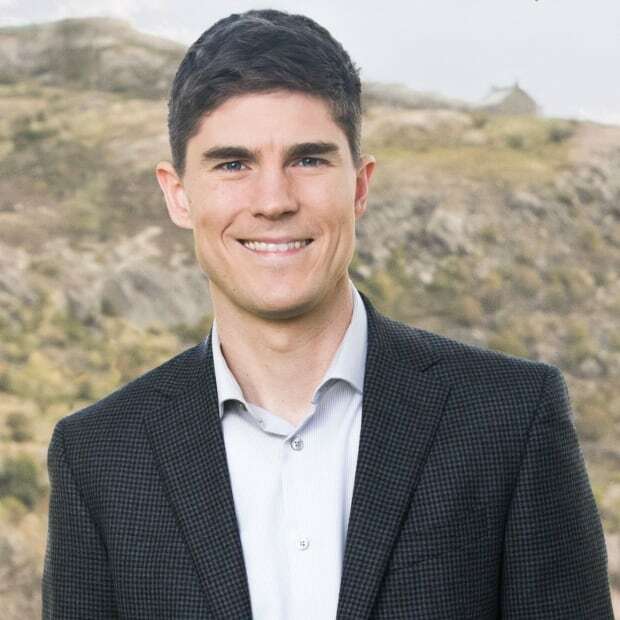 CBC meteorologist Ryan Snoddon says travel will be impacted across the region on Wednesday. Below is my first crack at a snow, ice and rainfall map based on the current track. I'll be updating this on Tuesday as the storm approaches. As of now, the heaviest snowfall looks set for New Brunswick, which is where we'll very likely see snow totals exceeding 15 centimetres. For southern New Brunswick, P.E.I. 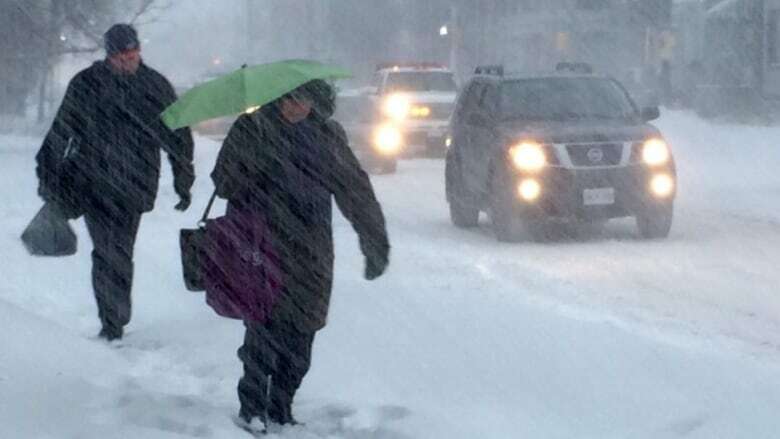 and across Nova Scotia, snowfall will mix to a healthy serving of ice pellets with totals looking more likely to land in the five to 15 centimetre range. We'll then see a coating of freezing rain and drizzle on top. In terms of timing, some uncertainty remains. 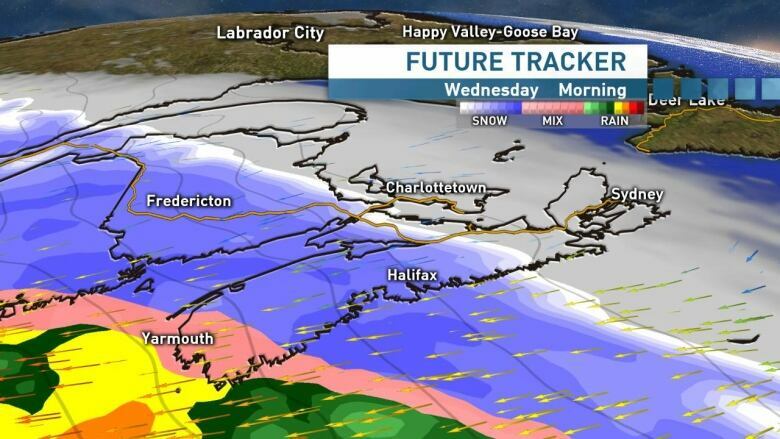 However, it appears the snow will move through on Wednesday morning for much of the region, arriving before or during the morning commute for Halifax, Moncton, Fredericton and Saint John. 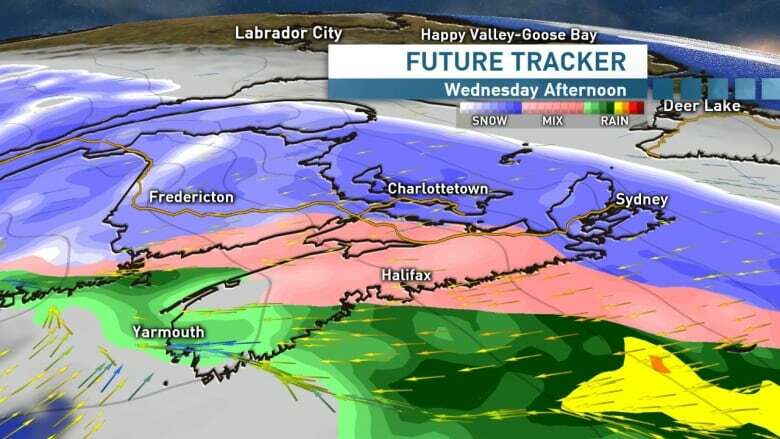 Winds will strengthen with widespread gusts 60 to 80 km/h or more as snow and blowing snow mixes to wind-driven ice pellets then freezing rain, rain and drizzle late Wednesday morning and through the afternoon for the Fundy coast of New Brunswick and mainland Nova Scotia. 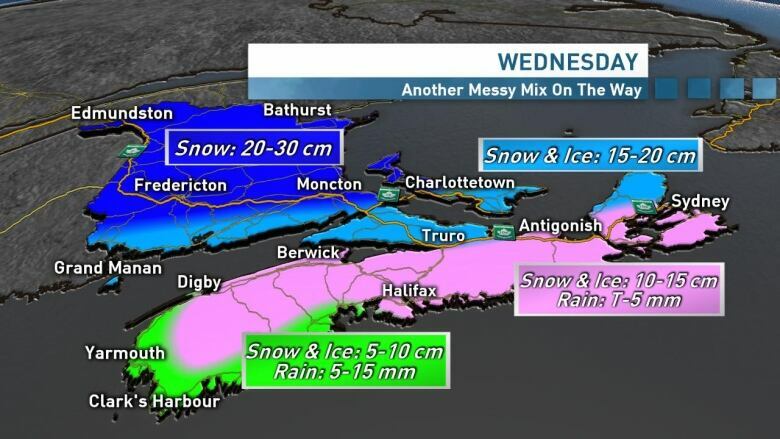 We'll have to keep an eye on the track and timing as the storm approaches, but as of now the drive home looks like an icy one for many, including in Halifax. Stay tuned. Cape Breton and P.E.I. look more likely to transition to ice during the early evening hours. Any areas that do mix to ice and rain will transition back to flurries overnight and into Thursday as temperatures fall once again. I'll have a complete update and forecast this evening on CBC TV at 6 p.m. and be sure to stay tuned to the live blog for the latest on Tuesday and Wednesday as the storm rolls in.